Julian Edelman was brilliant in Super Bowl LIII, winning MVP on the basis of a 10-catch, 141-yard performance that further cemented him as one of the NFL’s all-time great playoff performers. With 115 career postseason receptions for 1,412 yards, he’s No. 2 all-time behind only the great Jerry Rice in both categories. Edelman is also responsible for one of the greatest, most miraculous receptions in Super Bowl history (watch here) and is a veritable third-down monster. Additionally, in the Super Bowl alone, he was responsible for eight first downs on his 10 catches. So, there’s no room for debate when it comes to Edelman’s spot among the NFL’s all-time postseason heroes. Because of his penchant for showing up big when the lights shine brightest, many have suggested he’s making a case for the Pro Football Hall of Fame. Quite aside from the fact that Edelman’s career accomplishments overall are nowhere near worthy of Hall of Fame consideration, there’s the Barry Bonds conundrum. You see, Bonds is undeniably one of the greatest players to have ever stepped foot on an MLB field, and he has the lifetime stats to back that claim up. Over the course of his career, he set MLB’s single-season home run record (73) and its all-time home run record (762). Bonds also hit .298 for his career while driving in 1,996 runs (fourth all-time). Yet when it comes time to vote for the Baseball Hall of Fame, Bonds continues to be spurned, along with another all-time great, Roger Clemens. Of course the reason Bonds is snubbed is that he’s tested positive for PEDs. But guess what? 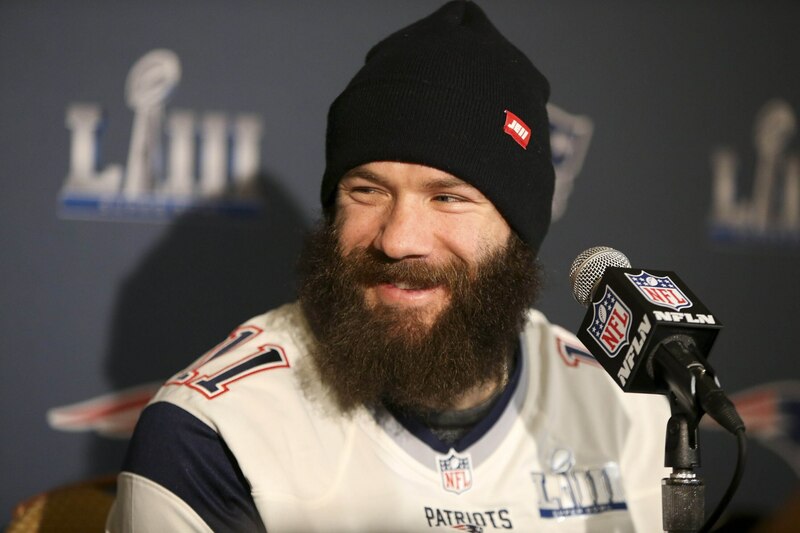 Edelman has also tested positive for PEDs (though we don’t know what substance he took). Unlike Bonds, his test was actually part of the NFL’s anti-doping policy, which resulted in a suspension — just this year, in fact. Bonds — one of the undisputed all-time greats in any American pro sport — is having trouble getting into Baseball’s Hall of Fame. Yet Edelman — a guy who has just two career 1,000-yard seasons and has just 30 career touchdowns but who happens to play big in big games — is being hotly debated by many of the top NFL writers nationally. Needless to say, both by virtue of his career achievements and because he’s a known PED user, all this talk about Edelman securing his spot in the Pro Football Hall of Fame really is ludicrous. Okay, sure. Baseball and football have different standards. But by any standard, if Bonds isn’t getting in, then any talk of Edelman getting in needs to just stop.